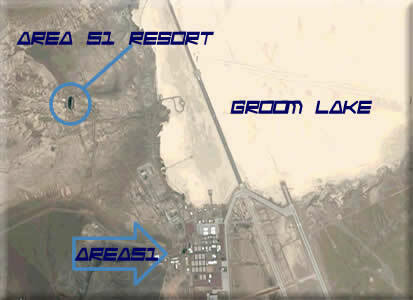 Come to LAKE AREA 51, Nevada for your next vacation! 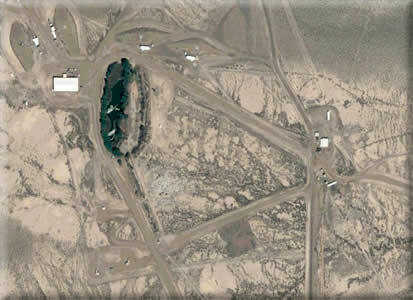 A must see resort for the UFOlogist at heart. You will of course need to bring top level security credentials with you. Here is a shot from 23,000 ft.
On a more serious note, we can only speculate what it may be. 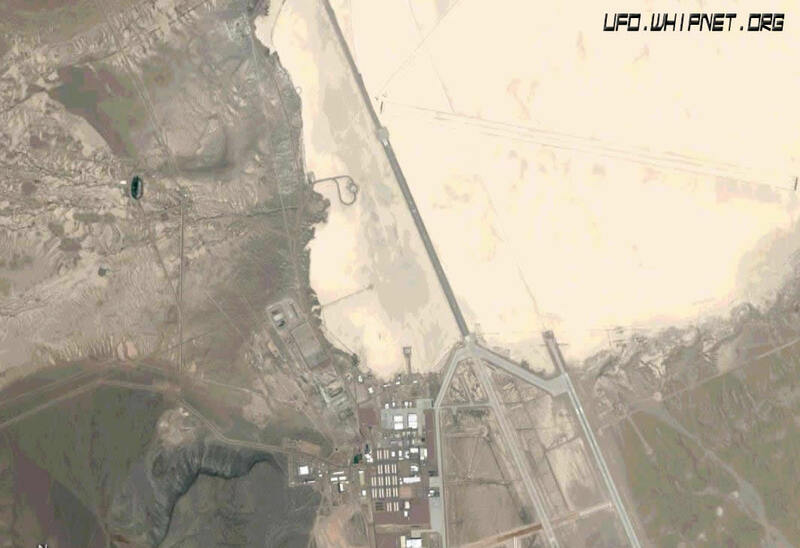 Is it what's left of Groom Lake? Zooming in to 7,000 ft, we can see roads and a building next to it. Would seem it's of some use. Seems like it must be more than just the remnants of a long lost lake, or the run off water from the mountains. At 5000 ft. you can clearly see green trees in a ring that is larger than the water itself. There appears to be several levels to this 125 yd lake. 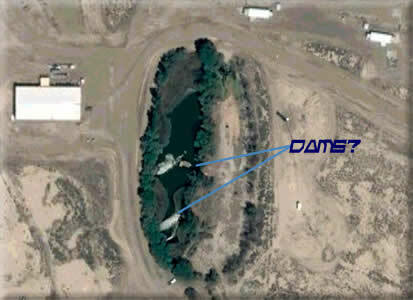 Two separate "Dams"? Is this the toxic waste dump that the employees complains about and have filed failed lawsuits against the U.S. government? Is this an opening to an underground water base containing aquatic aliens? Whatever it is, it's strange and went unnoticed to my eyes from b&w photos. Now thanks to color imagery, it stands out like a soar thumb!